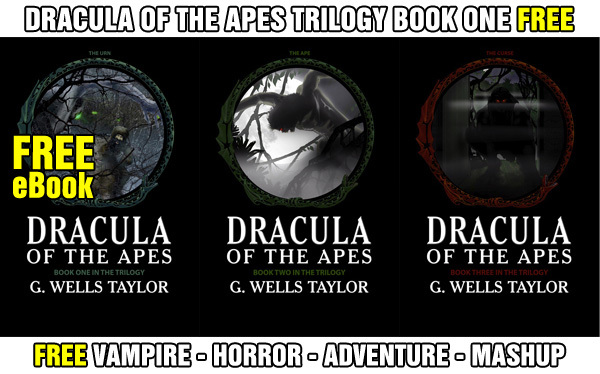 G. Wells Taylor Interview Now Available! 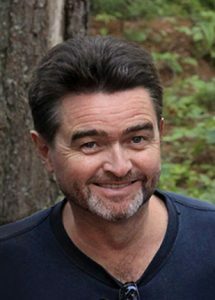 Please enjoy the interview, and feel free to comment or share. 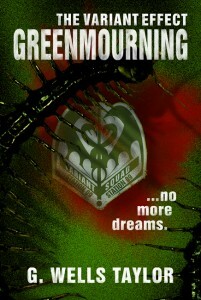 Damien Seaman (DamienSeaman.com) launched his blog in October 2018 after doing a frightening number of author interviews and accompanying reviews of their books. He’s been releasing those on a regular basis ever since. I’m pleased to say that today is my turn. Please enjoy the review, and feel free to comment or share. 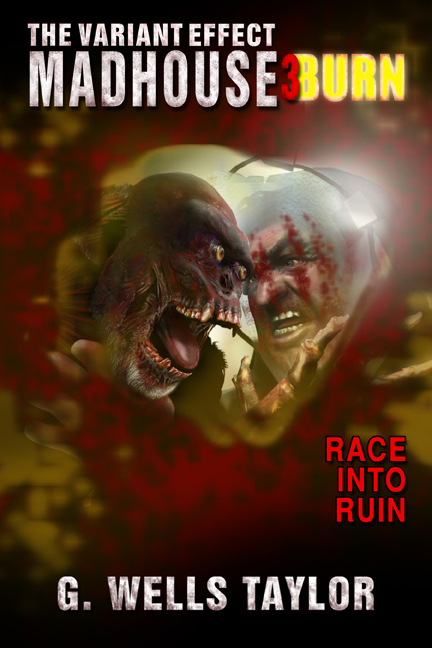 MADHOUSE 3 – BURN – NOW AVAILABLE! 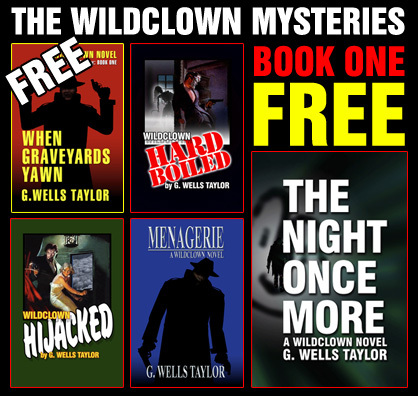 and in multi-format at Smashwords. The old building in a rundown part of town was a perfect place to find a body, but Joe Borland knows they’d never have dragged him out of retirement if it still had its skin. 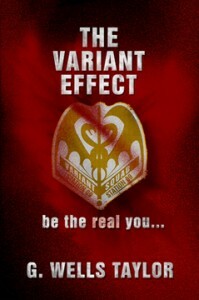 It’s been twenty years since Borland battled the Variant Effect, and twenty since he let his partner get skinned alive. Now they are ordered back into action to meet a terrifying new threat. MADHOUSE 3 – COMING SOON! 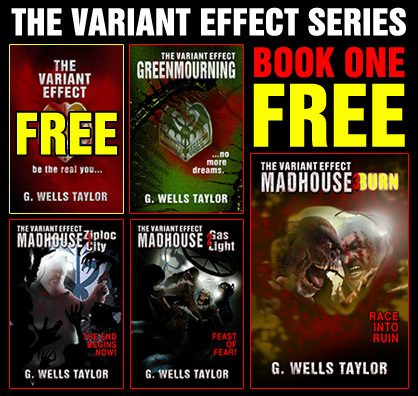 The Variant Effect: MADHOUSE 3 – BURN, final book in the Variant Effect Series is now with the Editor, Katherine Tomlinson. “Due to circumstances beyond my control, MADHOUSE 3 missed its late spring launch date, but is now on course for an October 2018 MADHOUSE Grand Finale. 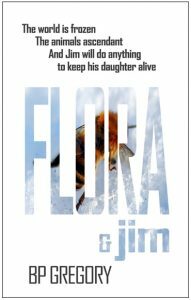 FLORA & JIM – NOW AVAILABLE! The Variant Effect: MADHOUSE 3 – BURN – COMING SOON! Joe Borland and Captain Beachboy deliver Lazarus team scientists to Bezo Metro Headquarters and find things in upheaval, so the rest of 9-Squad is ordered in to provide security. 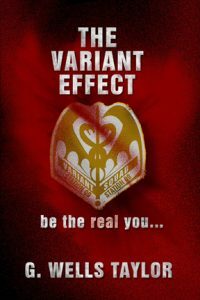 The Variant Squad has been shaken and bloodied over the last twenty-four hours with a rising body count, and there hasn’t been time for wounds to heal or for the dead recruits to be replaced. But the Bezo Board of Directors has put Lazarus specialists in charge of efforts to halt the Variant Effect outbreak in Metro, and end the Ziploc that holds the city in quarantine. The veterans Borland and Hyde are suspicious of the change in command but cannot override their questionable orders or abandon their squad to a dubious mission. 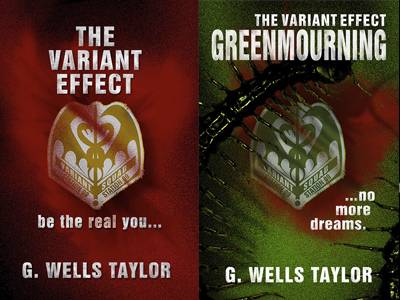 As they prepare to join the scientists underground and open research labs that have been sealed for decades, 9-Squad finds the enigmatic company man, Brass, is working the graveyard shift and overseeing a top secret project of his own. Brass is in survival mode and his “Plan B” has hit a few bumps, but that’s not the worst of it. There have been reports of unusual sounds and sightings that lend some truth to the old rumors that the HQ basement levels are haunted. The squad must investigate the eerie phenomena, but all the signs point to something far more tangible and terrifying than the dead. 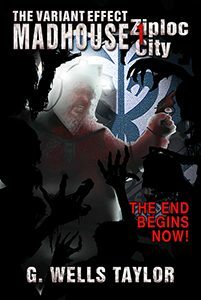 Borland, Hyde and the frazzled 9-Squad must decide who they can trust as lethal forces gather, and avenues of escape begin to close. 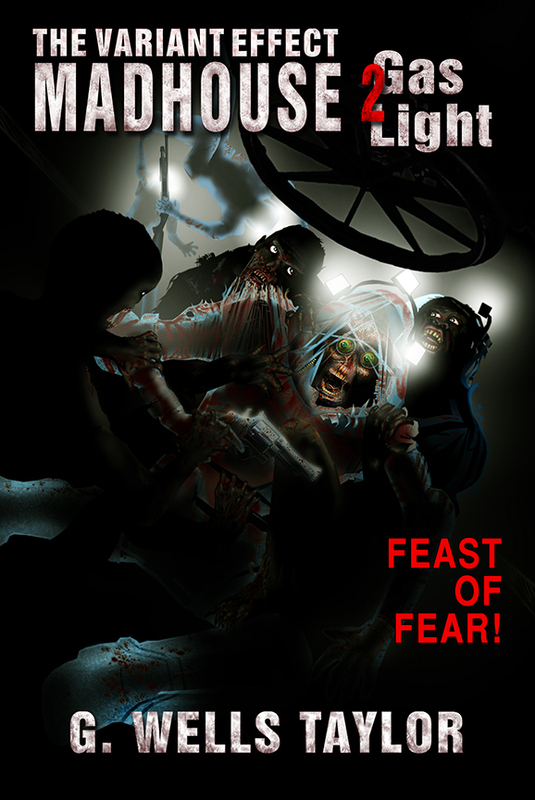 The only way to save their skins and protect the public from annihilation may involve a terrifying descent into darkness. 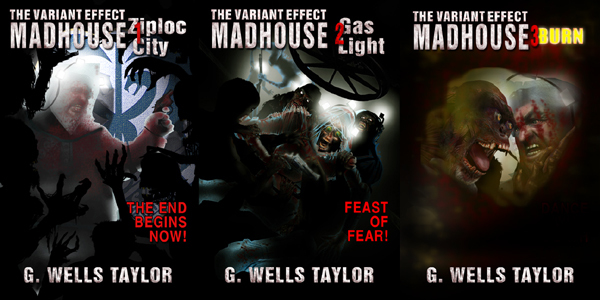 Continue to explore the MADHOUSE with Gas Light, second stage in the final chapters of The Variant Effect Series. Just over a year has passed since the Variant Effect returned and Skin Eaters started hunting again. During the last six months Metro citizens have been quarantined with the National Guard at the gates ready to shoot anyone who tries to leave the city. The authorities have asked for calm but the panicked public knows a dangerous and more virulent form of the infection is moving through every neighborhood. The old Variant stationhouses have reopened to meet the threat, and the frantic fighters of 9-Squad are climbing the walls. Everyone’s a little on edge. 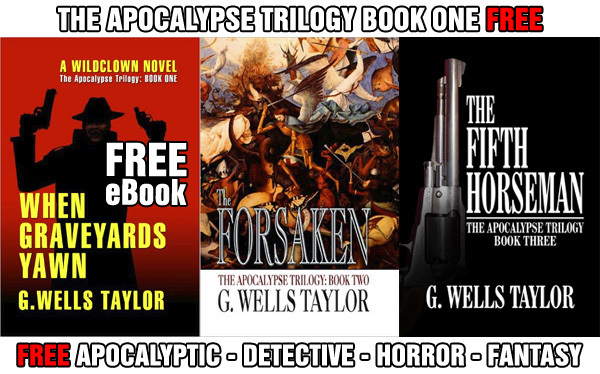 The veteran Captain Hyde is recovering from a serial killer attack but the squad doubts his tortured mind will heal. Beachboy’s promotion to captain has intensified his “death wish” and Wizard is haunted by her part in their fatal love triangle. 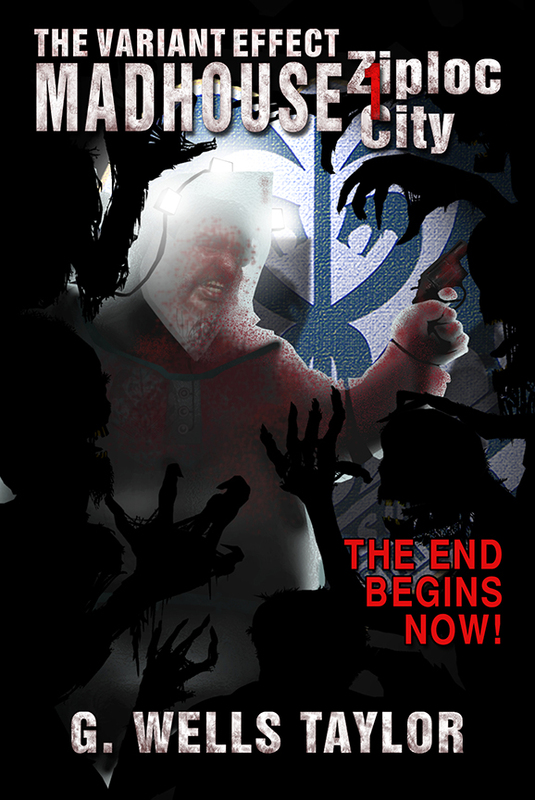 Enter the MADHOUSE with Ziploc City, first step in the final chapters of The Variant Effect Series.